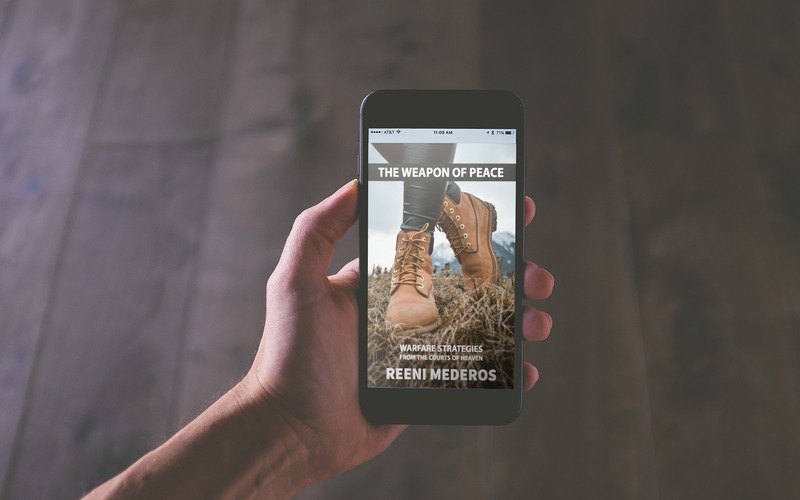 REVISED EDITION (April 2018) with a new chapter on Activating the Angel of Peace: The Weapon of Peace is power packed with fresh revelation and practical prophetic insight that God has given to the author, Reeni Mederos, in the midst of her own spiritual battles when accusations were raging during a time of personal crisis. Reeni reveals that as Christians, our shoes of peace are the most neglected pieces of battle gear within the full armor of God mentioned in Ephesians Chapter 6. Satan has used our own battle strategies against us to wear us out through direct combat with him while having unresolved open accusations screaming at us. We have learned many rules of engagement in the body of Christ, but we have unknowingly engaged in illegal spiritual warfare outside of the principles of the courts of heaven protocols. 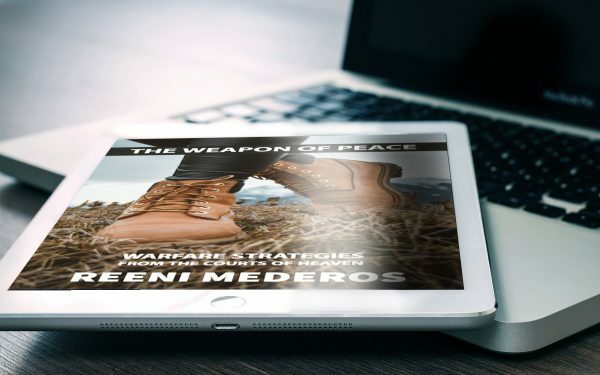 Reeni teaches you how to identify the open accusations against you and your bloodline and how to silence them once and for all as you discover and dive into the mystery of the Weapon of Peace. NOTE: Download the zip file to your desktop computer and open with Winzip (PC) or Stuffit (Mac). 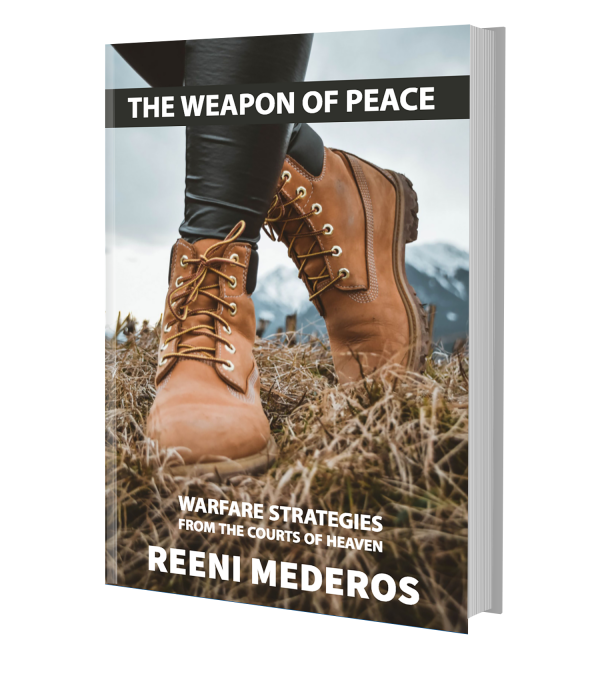 The Weapon of Peace is the first volume of many topics planned in Reeni’s new Courts of Heaven series as she prophetically writes from the principles of the Courts of Heaven. Packed with revelation and self-helps to overcome Satan’s strategies and accusations against your life, Reeni breaks down the revelation included in an easy to read format, yet deep and rich with nourishing revelation. 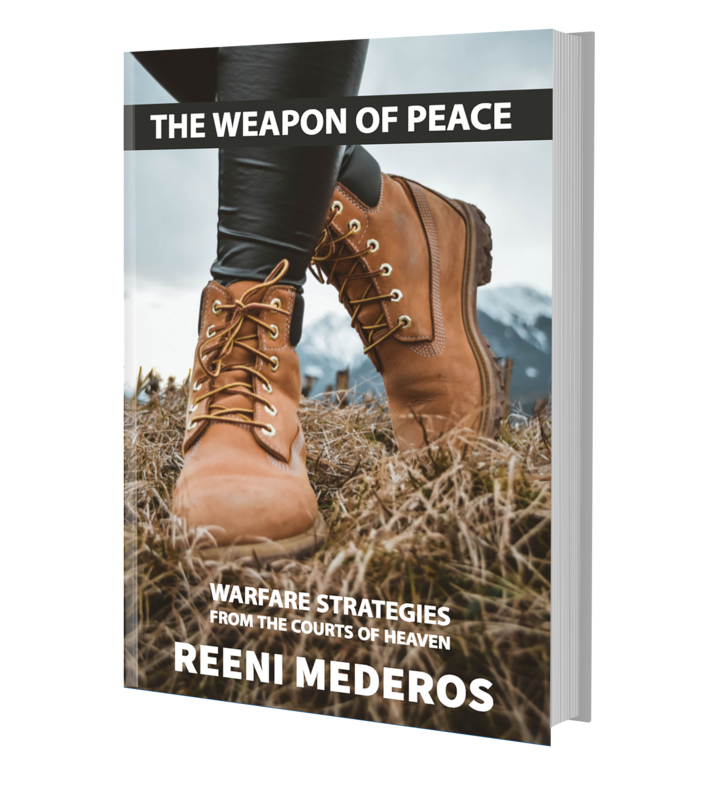 Reeni reveals her own personal in-depth prayer strategies to help Christians war with the Weapon of Peace, rather than being worn out and beaten down through illegal spiritual warfare. 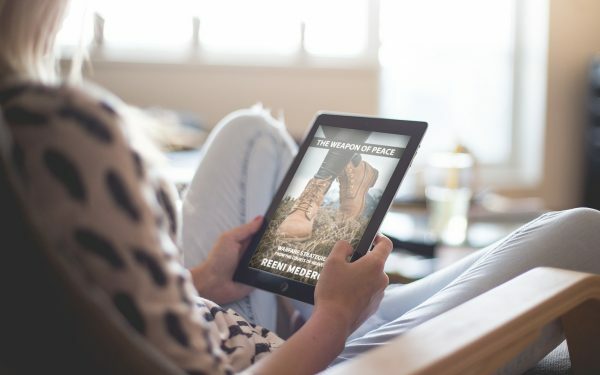 The Weapon of Peace gives practical insight and revelation from the Word of God as Reeni has studied and broken down the mystery behind the power of God’s peace and how we can use it as a weapon of war against our spiritual enemies who continuously accuse us night and day in the Courts of Heaven. The Bible says that we “perish for a lack of knowledge” and too many Christians are defeated and depressed because they have neglected this most vital and necessary weapon of war that is more overlooked than any other battle garment within the armor of God. Reeni gives you powerful keys to silence the accusations of the enemy through the Weapon of Peace. You will learn behind the scene strategies of how to overcome the devil’s tactics against your life with a most unlikely weapon, The Weapon of Peace. Reeni has a unique and keen prophetic insight into deep spiritual truths through the Word of God exercising the spirit of discernment with a gift to articulate the heart of God through her writing ability that makes it easy to understand and quickens the heart with impartation from the Holy Spirit. In this volume, she empowers, encourages and releases new motivation to continue to fight the good fight of faith without suffering battle fatigue from needless casualties. Be inspired, recharged and challenged with a new vision to lay hold of and fulfill your purpose and destiny in God. You will be able to reinforce your strength and do the things you love while letting God fight your battles for you. Contact Reeni at www.reenimederos.com for inquiries, testimonials and speaking engagements. 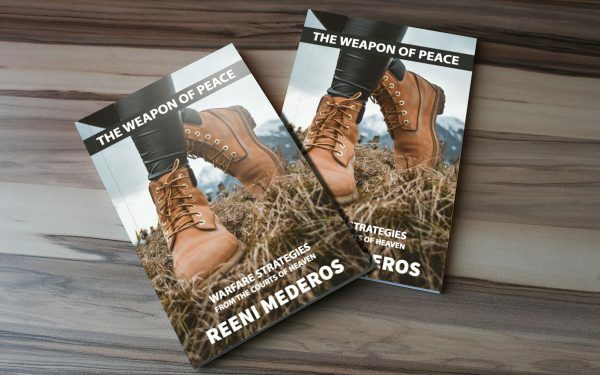 Reeni Mederos is a revelatory motivational speaker and author of “The Weapon of Peace,” who is a pioneering seer and a fiery prophetic psalmist. Releasing the fire of Seraphim with a passionate love for Christ, Reeni’s spontaneous worship over cities, regions, and nations, pierces individual lives with her contagious passion for Christ as she adventures the realms of the Kingdom following hard after God. 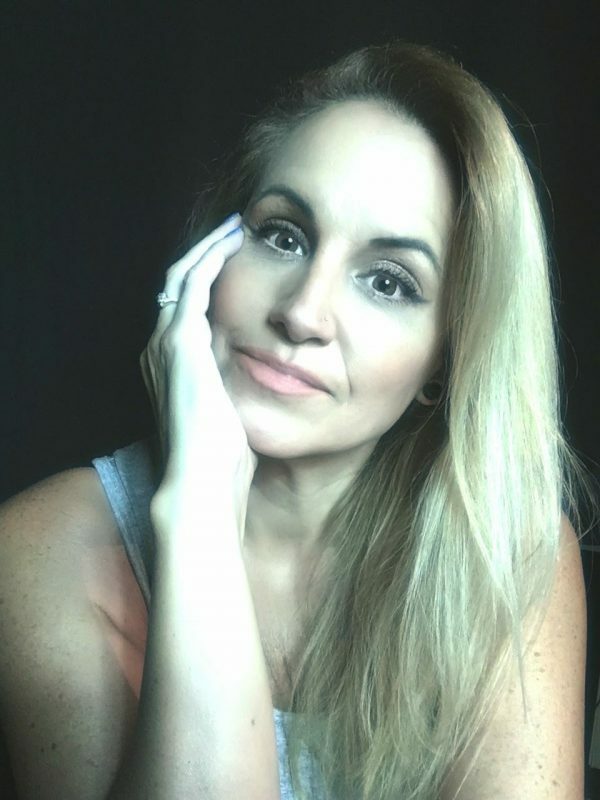 Reeni is the founder of Warriors International, Inc., and Spirit Academy, activating the Body of Christ into God’s supernatural realms for over 20 years with her online schools, live broadcasts and webinars and on-location activation encounters, helping others to discover and fulfill their God-given destiny scrolls. With a down to earth prophetic mentoring style that is easily received, Reeni’s ability as a prophet to bring healing to the heart, to draw out the gifts and callings within a person, and to raise confidence levels, are done with pinpointed activation strategy and divine wisdom. As she draws out the inner potential of a person’s calling and hidden inner treasures with keen prophetic insight into the heart and anointed instruction, many discover the reality of their God-given blueprint, identity and destiny on accelerated levels in a very short period of time, resulting in a life that is transformed and equipped to do mighty exploits in God as matured sons of God.